Jim began playing the trombone at age 9 in his home state of Connecticut. As a child he received his early musical exposure and training from his loving father, Anesti Nova. It was these seeds of love of the musical arts that would later flourish in his adult life. During high school, Jim received strong musical background from his band director, Louis Lazzerini. Mr. Lazzerini, who is the Assistant Principal/Second Bassoonist of the Hartford Symphony. He introduced Jim to his first private trombone teacher, George Sanders, Assistant Principal/Second Trombonist of the Hartford Symphony . He studied with Mr. Sanders for his four years of high school. 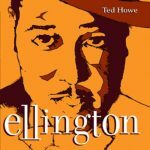 After graduating high school in 1992, he attended the prestigious Curtis Institute of music in Philadelphia. A fully endowed and full tuition conservatory, The Curtis Institute of Music still remains one of the most difficult schools in the world to be accepted to. Jim received his Bachelor’s Degree there studying with the Philadelphia Orchestra’s then principal trombonist Glenn Dodson. 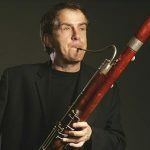 In 1996, Jim moved to Boston to pursue a Master’s Degree on a full scholarship at the New England Conservatory of Music, studying with Boston Symphony Orchestra trombonist, Norman Bolter. He completed his Degree in 1998 and freelanced in Boston until 2001, when he moved to Salt Lake City, Utah to join the Utah Symphony Orchestra. 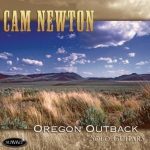 In addition to his college education, James attended the Pacific Music Festival in Sapporo, Japan in 1994 and was also a member of the Tanglewood Music Center Fellowship Orchestra for three summers, from 1996-1998. 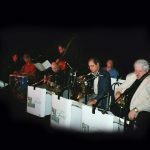 While in Boston, Jim substituted on a regular basis with the Boston Symphony Orchestra and the Boston Pops Orchestra making recordings and television broadcasts with both groups. 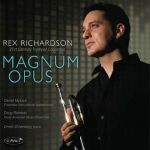 He is the former second trombonist of the Pacific Symphony Orchestra in Orange County, California, former principal of the Rhode Island Philharmonic, former principal of the Vermont Symphony, and former assistant principal of the New Haven Symphony Orchestra. Jim was the assistant principal/second trombonist of the Utah Symphony Orchestra for 8 seasons and plays with the Boston Pops Orchestra as his schedule in Pittsburgh allows. 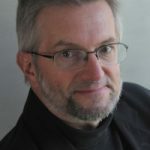 Jim’s solo recording “Albanian Rhapsody” is a debut in both performance and composition for the father and son team, composer Anesti Nova and trombonist James Nova. 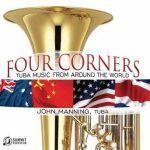 All but one piece in this world premiere collection of compositions is for solo trombone and either string or chamber orchestra. The music is ethnically charged, deriving much influence and flavor from Jim’s and Anesti’s strong Albanian backround. 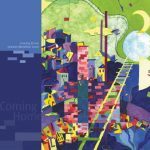 It is at times tragic, languid and yet uplifting as it chronicles, with the trombone as storyteller, the journey of the Nova family through hardships and eventual triumph over adversity. 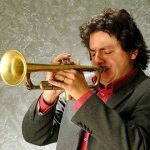 September 2009, Jim began the latest exciting chapter in his career as he took up his newly won post of Second/Utility Trombone of the Pittsburgh Symphony Orchestra. 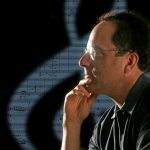 He is also Adjunct Faculty at the Mary Pappert School of Music of Duquesne University. 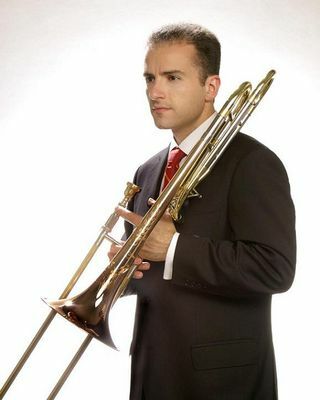 In March 2012, after only 3 seasons as a member of the Pittsburgh Symphony, Jim was honored to make his Pittsburgh Symphony solo debut performing Henri Tomasi’s Concerto for Trombone. Jim performs primarily on an S.E. Shires large bore tenor trombone: TII 7YM A5 bell, Axial Flow Valve, TB47L slide, 2.5 lead pipe and a Greg Black Custom mouthpiece.